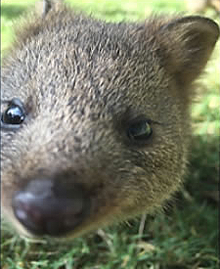 I know it's not a bird, but I'd thought I'd start with a cute and cuddly little Quokka baby from the wildlife park that I work at now. Okay, so – "from Avi meeting brat to zoo curator and zookeeper". When Graeme asked me to do this I initially thought I was just going to talk on the Orange-bellied parrot and Graeme said no, I want you to talk about where you started, how you got to where you are now; and I started to think about the meetings I used to go to as a child. I started out going with dad to the bird club meetings in East Gosford. I drove past the hall the other day and it brought back memories of sitting in a room with about 130 people, talking about birds, presentations, afternoon tea, supper, and that sort of thing. I remember making cups of tea … for some of the old bird owners and then selling raffle tickets… etc. And that's what I starting doing – going to bird shows on the weekend and sitting and watching the judging and spending weekends at bird shops here in Sydney. Dad would be driving around and he would go "we're going to this one" and mum would be sitting in the car going – "another one…" – and dad would go, "no, we're just going to go to this one". I remember sitting in one bird shop (I don't even know which bird shop it was), looking at something in the cage and going, "dad, this looks a bit strange" and he walked over and it was a Red-faced/Blue-faced parrot finch hybrid. I don't know who was more excited, him or me. Him because he thought I am going to get it and show it, or me because I found it. I am pretty sure that thing won some shows. And so hand raising (dad is had raising some wrens at the moment); and I grew up doing that. I remember coming home from school after 3:00 or 4:00pm in the afternoon; dad would be at work, mum would be at work, and my sister and I would be out doing the bird rounds. So we would be feeding the birds and watering them and making sure that everything was fine because dad didn't get home until it was dark during winter. I have little tiny hands, nice little small hands that fit perfectly into show case doors, so I would be the one that would cleaning them! Dad couldn't get his hands in there and I could. So I had a pretty special childhood. So my first mentor was my dad. He has taught me everything I know about birds. I blame him for all of my bad characteristics. My nose I inherited from him, (Bruce Hockley – "your boisterous nature") my boisterous nature - yes, my love of birds, and my love of cars, all came from him. (Bruce Hockley – "as long as they are Fords"). As long as they are Fords, they all came from him. 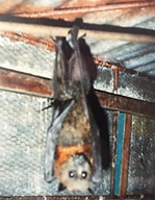 We had unusual pets when I was growing up, still my favourite animal in the whole world – the Grey-headed flying fox. I'm hand raising a couple at the moment. I hand raised the Grey-headed flying fox you can see in the photo; and Kangaroos – we were showing that photo of me with one of the Joeys to a couple of Irish friends and you can see the bird cages in the background, that was the bird room at the house. It was full Zebra finches and all sorts of things. So, a pretty special childhood. That was on a trip to Tiritiri Matangi Island. I don't know, I just remember looking at Graeme and thinking "what are you doing"? So the only other guy that had an impact on my life was Bruce Kubbere. I spent a lot of time with him as a child with at Featherdale Wildlife Park when he owned it. Not really a mentor, but certainly someone that I spent a lot of time with as a kid and he certainly had a big impact on my childhood and my career. Graeme was not only in my life from a very early age through the bird clubs, but I did my work experience under him when he was curator at Taronga Zoo when I was 16. Graeme was the person who directed me into getting my degree at university and the road to TAFE to get myself into the industry. So he has played a pretty big part in my life as well. And that is what led me to the Zoo keeping career. 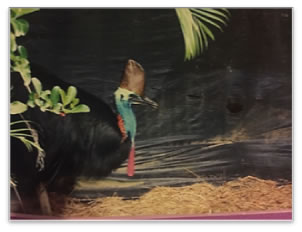 My first job in the industry was in Port Douglas at a little place called the Rainbow's Habitat where I got to work with an amazing array of wildlife. Everything from tiny little sunbirds to cassowaries. I got to hand raise fruit pigeons, Wompoo fruit doves and Rose Crown fruit doves; and Buff-breasted kingfishers and that sort of thing. I also got to work with Jabirus; and that little Striped possum on the right in the photos above, I hand raised her. She was handed in as an orphan and I got to hand raise her. I also got to work with saltwater crocodiles. So it was an incredible way to start my career. It was just a whole range of different species that I was able to work with. We didn't have sections. A lot of zoos these days have a section and you start in that section and you pretty much don't go anywhere else in the zoo other than the reptile section or the bird section. I got to learn through all of them at the Habitat. I was pretty lucky. It was an amazing place to start my career and get some background into what I wanted to do. 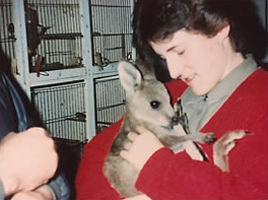 That then led me to my second job at Healesville Sanctuary where I started working on endangered species. I'd initially started just as a contracted bird keeper but when they realised what my experience with birds was, within 3 months I was moved to the threatened species section to work with the Orange-bellied parrot and also the Helmeted honeyeater which are Victoria's most endangered species. And that's where my interested and my love affair with the Orange-bellied parrot began. It's a bird that holds a very special place in my heart. I was working with Orange-bellied parrots for about 12 years. I don't know how much you know about the Orange-bellied parrots? It's a Neophema – you guys know that. 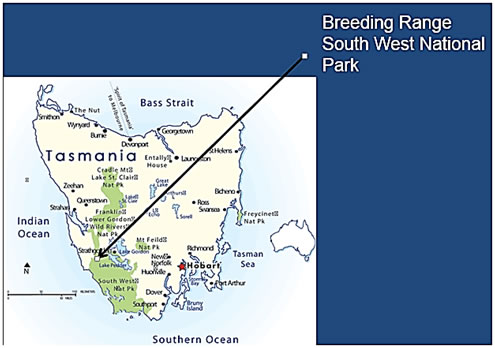 It only breeds in a little tiny section nowadays of the southwest coast of Tasmania. It's a really isolated area and the only way to get into it is a five day hike carrying all of your food, a boat trip around the top west coast, or a light plane that flies in and can land on a landing strip that's in the area. It's a really rugged place that is really remote, but it also a really beautiful part of Tasmania if you ever get the chance to get down there. Orange-bellied parrots typically feed in what we call salt marsh. They are never found any more than 10 kilometres from the coast because they rely so heavily on that salt marsh habitat for feeding. 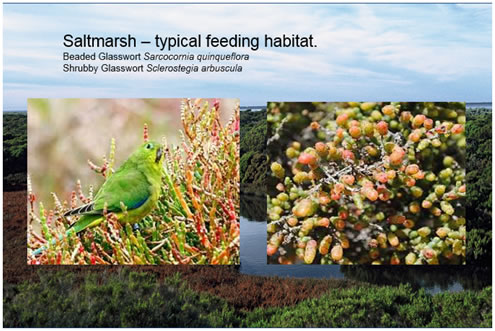 They feed on plants like Sarcocornia or salt bushes and Sclerostegia Glasswort (I can never say it - beaded glasswort). They are low shrubs found in the salt marshes in tidal areas and that's where you will find the birds feeding. Both in Tasmania and also on the coast of Victoria and South Australia. 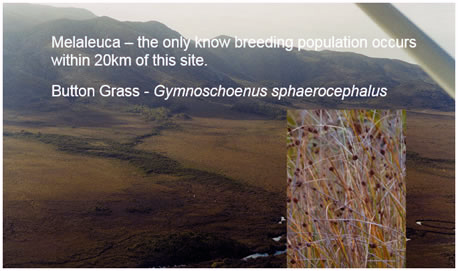 The site at Melaleuca is now the only known breeding population which occurs within 20 kilometres of that site. They were once found breeding further to the north of Melaleuca and also round to the southern coast of Tasmania. 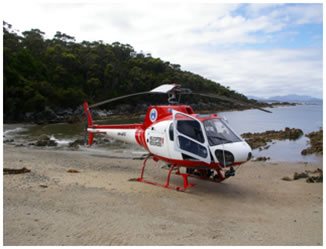 I was lucky enough to do a survey in 2010 where we got helicoptered into various sites around that southwest coast of Tasmania. We spent a week camping on the beach, walking across plains (like the one that you can see in the photo below), listening to birds and listening for Orange-bellied parrots just to see if they were flying over. We were just to determine whether or not they were breeding anywhere other than that site at Melaleuca. Unfortunately in 2010 we didn't find them anywhere else, which was quite distressing, because we knew that there had been some fragment of populations breeding in other areas. Basically the birds are being encouraged to nest in breeding boxes that are accessible by us so that the guys can climb up and get access to the chicks in the nest and be able to band them. So theoretically every bird that's bred in those nest boxes is banded so that we can identify it. We know where it goes and whether it comes back or not. Just in the last week two juveniles have turned up at the table that are un-banded, which indicates that they are using a natural nest site somewhere away from the Melaleuca site; which is a small snippet of positive news from the population. 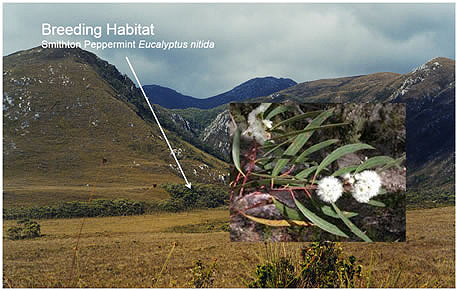 The Orange-bellied parrots feed on these Button Grass plains and then they breed in these little copses of Peppermint gum that you can just see dotted along the edge of the hill and then run up into the gullies; and so that is where the nest boxes are. We had to hike across the plains to get into those stands of trees to get to the nest boxes every year when they are doing the study/the surveys. It is a really isolated area with very limited capacity. In some of these areas there are not a lot of trees that have got the nesting logs that the birds require to breed in. So that's one of the limiting factors that we discovered that's possibly having a big impact on the breeding of the birds in the wild. After my stint at Healesville I got involved in the Orange-bellied parrot so I joined the Recovery Team, a National body that has scientists, biologists and interested parties from all over Australia – Government, State Government, Federal Government, the World Wildlife Fund was on the Recovery Team at one point and various people; and I got involved in that side of it as well. I became the stud book keeper for the captive population. I had an ex-boyfriend who when he asked me what I was doing I said "so basically I decide who breeds with who. I say that this bird here is going to breed with this bird" – and he said "so basically you are an endangered species pimp!" I went "a fornicator facilitator for endangered species, thank you". That is what I'd like to be called, so I am going to put that on a card one day. Basically I had responsibility for managing the entire captive population across Australia. I would have to get information about what birds would breed in each facility. We had several programmes that we used to manage, to determine who the best genetic match is and to make sure that we're not inbreeding birds; so that we maintain the genetics. So I was responsible for that, the stud book for 10 years. In the process I met a gentleman called Mark Holdsworth who was the person who worked with this species on the ground. He is the world's leading expert on Orange-bellied parrots, he's been working on this species for the better part of 30 years in Tasmania and he was managing the breeding facility in Tasmania at little place just to the south of Hobart called Taroona. He also, at that point in 2008, took on management of the captive population of Tasmanian Devils that were part of the insurance programme against the disease that is ravaging the Devils in Tasmania at the moment. When he first started working with the Devils they had volunteers doing everything on three month contracts and so he approached us about getting some expertise down there and he wanted somebody with bird experience. He knew my background with Healesville and with private aviculture and he asked me whether I would come down and take the job; and so I did. I moved down in 2008. The captive insurance populations commenced in 1986 in Hobart at a place called Green Point. 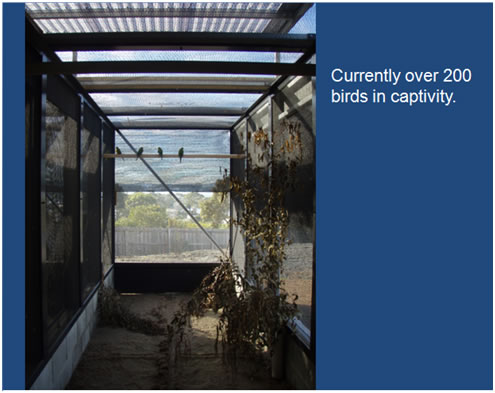 They took them from the wild and they put them all in a couple of aviaries together. They had no idea who was breeding with who, but it worked. That is until there were some issues with disease, because the site wasn't great as far as the weather was concerned. It was quite cold and quite damp and they had an outbreak of disease. So they decided to move the site to the facility at Taroona where I was working. At that time when they first moved them they were in these tiny little dingy aviaries where you couldn't even get a wheelbarrow through the door because the door was too small. So if you wanted to change any of the sand or anything in the aviary you couldn't get in there, you had to bucket it all out and bucket it all back in ago. During my time in Tasmania we were given some money from the Government and we were able to build the facility that you can see in the photo below. That's one facility in the foreground that's got 12 aviaries, six on either side. There is an identical facility near where I was standing to take that photo that is identical, so again, six aviaries on either side. I painted all the doors, I built all the feed drawers, I built all the nest boxes and I did all the plumbing. The contractors basically just put the frame up and they laid the wire over it. They came to me saying; we're used to building hospitals and office blocks, we don't know how to work with this wire, what do we do? It won't tension properly. It was a better option than what we had originally started in. Nice big flights, plenty of room for the birds, and it worked. Those figures are probably a little out of date because they are in the middle of the breeding season at the moment, but there are over 200 birds in captivity at the moment. There are less than 50 birds in the wild. 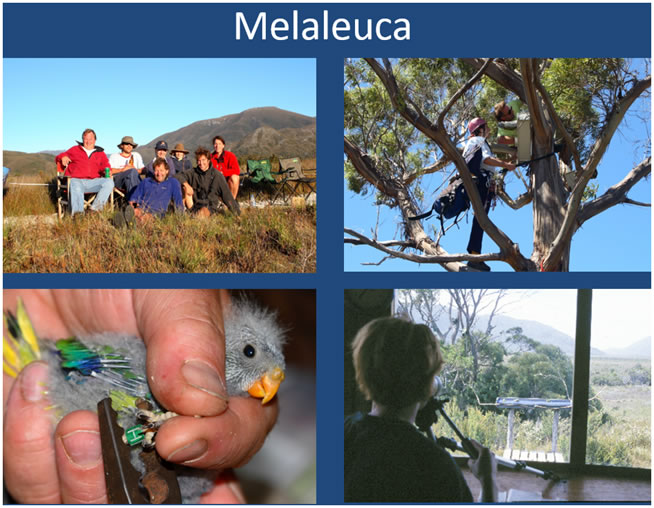 They had 23 birds return to the Melaleuca site this year. That's 23 wild birds. They released 13. They are checking the nest boxes at the moment, but they have only had one successful nest so far. So there have been failed nests but they have got another eight boxes to check in the next few weeks to see whether or not there are chicks in them. Unfortunately it doesn't look like it is going to be a great season down there again this year. 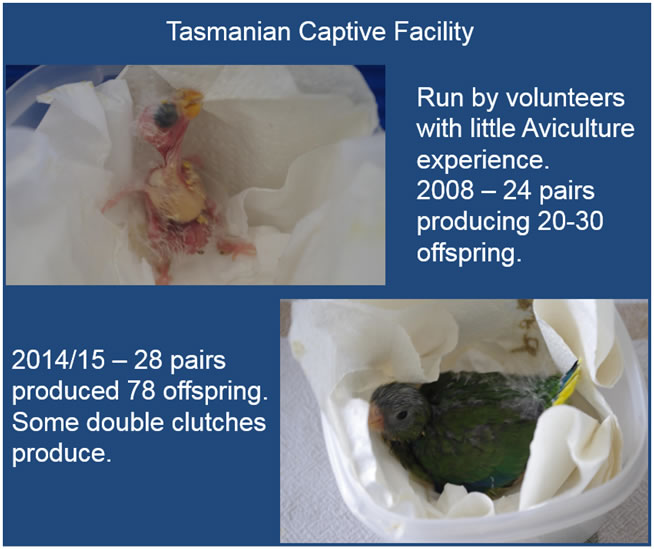 As I mentioned previously, when I started at the Tasmanian captive facility it was run by volunteers. So there is a house on the property and there were caretakers that lived in that house. They worked full time for the Tasmanian Government in a mapping kind of role and they looked after the birds in their spare time. They would feed them in the morning before they went to work and they would feed them in the afternoon when they got home, and they would do work and maintenance, etc., on the weekends. 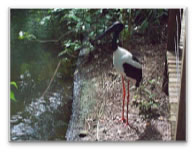 The whole programme for this critically endangered bird was run by volunteers. Now I am not saying they didn't do a great job. They were incredible and it was a 24 hour a day thing. They didn't go on holidays for the 10 years that they lived on site because they couldn't trust anybody else to come in. They were afraid that if they went away nobody would feed the birds. When I took over in 2008 they used to run about 24 breeding pairs that produced 20-30 chicks a season. It doesn't sound like a lot when you are talking Neophemas… I will tell you a little about why that figure is so low in a minute. So I came in with my bird background and looked and thought; okay there's a whole range of things we're going to change and we're going to start with the food they are feeding them. So we added green feed and soaked seed, all that sort of stuff, just to try and make a difference to what they were doing. They didn't like to take birds and hand raise them. The Recovery Team is very against it just because of misconceptions around how the hand raised birds would do if you tried to put them back in a breeding situation or if you tried to release them to the wild. They had this impression that they would be imprinted and that they would be difficult to integrate back. It took me years to convince them that Orange-bellied parrots shouldn't imprint. I've never seen an imprinted Neophema ever. There was a person that worked the programme in Victoria before I started who somehow managed to imprint one of the Orange-bellied parrots and that's what the recovery team was basing their information on. For years I've battled to prove to them that I could hand raise these birds, integrate them back into the captive population and you would not be able to tell them apart from the rest of the colony. This particular bird in the photo below, the female had three chicks under her at the time. The male died. So she was raising them on her own. It was the smallest being six days younger than its two siblings and so they were a lot bigger and at 3-4 days it stopped being able to feed. It just wasn't big enough to compete with its siblings to get food. So I had no choice but to pull it. It weighed 4 grams and you guys know the hours and hours of hard work; and three years later she has now bred three years in a row producing some incredible clutches. 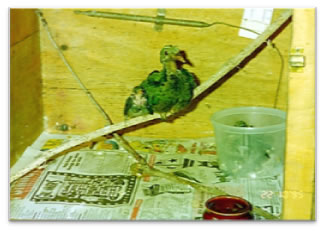 So I had proven to them toward the end that you didn't have to imprint these birds, it was possible to raise them properly and get them back in and have them behave like an Orange-bellied parrot should. So that was one of my proudest accomplishments, showing the Recovery Team that it was possible. There is one other thing that I was really proud to accomplish. By the time I left in 2015 (last June of last year), I'd taken those 24 pairs producing 20-30 offspring to 28 pairs producing 78 offspring. And again, it doesn't sound like a lot for Neophemas. If you breed Neophemas you will know that they double clutch. They raise one clutch, they lay another clutch, they raise it and if they lay another clutch they will raise it. Orange-bellied parrots don't. I think that the programme has been criticized a lot in the past by private aviculture about the fact that we're not pulling the eggs and making the birds go down again. Well they actually don't, because biologically they're not designed to do it. They arrive back in Tasmania around October/November. They are a tiny little bird weighing around 40-50 grams and they've just flown all the way from Victoria down to the southwest coast of Tasmania; and they are exhausted. They get there and they've got to take some time to get themselves back into condition before they can even consider breeding. They've got to find their partner, find their own nesting log and lay the eggs. By that stage you are looking at early December before they start to lay their first eggs. So you are looking at late December before the chicks are hatching and you are looking at towards the end of January before the chicks fledge. The adults then leave in March. So they actually physically don't have the capacity to lay a second clutch because there is no time. Their bodies have not been biologically designed to second clutch. We used to get it occasionally in the captive populations where they'd lay a first clutch, it would fail or they'd raise the first clutch, and they would lay a second clutch and it would always be infertile… always. Towards the last 3-4 years while I was at Taroona I managed to start getting some of the females to start to lay and successfully raise second clutches. It actually was all because of me, because I did it once at Healesville with a pair that was on display in the park and then I managed to do it a couple of times with the birds at Taroona. Nobody else has ever done it in any of the captive institutions in Australia, so it was all me. The birds just needed me to be their double clutch luck! Not the food, not the weather, no it was me! Their bodies are just not designed to do it. Because of the conditions and because of the really short timeframe they've got in Melaleuca to do it, they just don't. And they haven't been in captivity long enough to have switched that up. So it is only just now that they are starting to see the birds at Melaleuca do it. Last year I actually had a couple of the females triple clutch. It was a first ever. Everyone used to say to me, "so how did you do it? What did you do differently?" I don't know. I cannot pinpoint that it was this food that we were feeding, or it was this. I think it was a whole range of things that led up to this – the consistency, the staff being on the ball and we just spent a lot of time making sure that they had access to green feed and all of that sort of stuff. Healesville's got a population of them where they've got two keepers and that's all they do and they still weren't able to do it. Daniel Gowland who you know is Priam Psittaculture, he's never done it. So it's not something that's easy. So that 78 offspring on the perch for me last year was a shining moment because it's the most that have ever been produced; and considering where the programme started at Taroona with the volunteers, it was a big achievement for me. Spending time in Tasmania also meant I got to spend some time at Melaleuca involved in the fieldwork and as I said, the birds are encouraged to breed in artificial nest boxes so that we can get up the tree. So it involves climbing the tree (you're roped up and harnessed), to access the nest boxes and bring the chicks down so that they can be banded. So that is what this photo below is showing. They are individually banding all of the birds so you can identify them. For the summer period there are volunteers in at the site the whole summer. They have jobs so they do it in two week stints and primarily they go down there just to record the birds. These records will tell us when a female disappears to go and start laying and incubating, when we can expect to see the first chicks in nest boxes and when we need to go down and start banding them. The photo on the right at the bottom is the feed table. Every morning they go out and scatter a bit of food on the table and it brings the birds in and they check them off - that's Green H Black, that's Z, that's this one, that's that one, okay, and that's what they would do for the summer. I got to be involved in that which was always a wonderful opportunity. 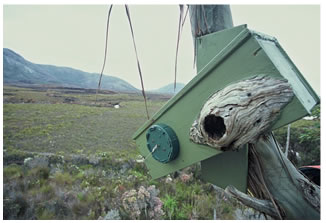 The photo on the right shows one of the nest boxes that we use. 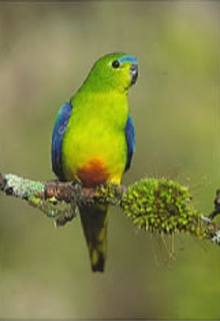 It is the consistent standard nest box and the Orange-bellied parrots use them. Unfortunately so do a whole range of other things like Green Rosellas, Fairy Martins, Starlings, Owlet Nightjars, etc., but what is important is that the Orange-bellied parrots do use them. It is probably the angle that the photo it is taken at, it's probably only about half the size of that again. The big thing about that is that it is insulated because it's exposed on a tree. It's not in an aviary underneath the shelter, so it's exposed to all the elements. They are actually insulated because the temperature ranges are very big. Yes. These guys do not tolerate temperatures above 28 degrees very well. The chicks stress really easily and quite quickly in heat. That's one of the issues that we found in places like Adelaide that support a population at the zoo there. They get those stretches of 40 degrees and their birds just can't cope with it. That is why they were put into Halls Gap Zoo because the temperate range there isn't as severe and that would suit the breeding population in Tasmanian. But even Healesville has 3 or 4 days in a row where it's over that 30 degrees and the birds cope really poorly with it. Healesville has the situation where at the back of their aviaries is where all of their nest boxes sit, it's a sealed corridor and it's air-conditioned, so it is quite adequately controlled and it keeps the nest box cool. As I said I also got to spend some time in a helicopter, dropped on a beach in the middle of nowhere for a week where we didn't see another living sole except for 2 cray fishermen who rocked into the bay one day and asked us if we wanted a couple of crayfish. They cooked them up for us and brought them in. It was really hard! We were living on packaged fruit and dehydrated meals for the week and these 2 guys rocked up with the crayfish one morning and we went... yeah! But it was a really incredible thing to be involved in and it is a really important part of the work that was being done. It was to see whether or not these birds were nesting anywhere else. I also got to be involved in releases. While I was in Healesville I spent some time in a little place called Birchs Inlet, which is (if you have been to the west coast of Tasmania), close to a little town called Strahan. You go across the harbour from Strahan and up this little inlet in a dinghy and then walk 500 metres to this lodge in the middle of nowhere. That's where we did most of our releases in the early days and over 400 birds were released there from 1991. It is only in of the last couple years they've started releasing the birds at Melaleuca. Initially they wanted to try and create a secondary population away from the Melaleuca one, in an attempt to establish a second population. This was just in case there was something that happened at Melaleuca. Just this year they had a situation down there where there were some wild fires coming towards the site. Now that is the only known breeding population of Orange-bellied parrots in the wild. If a fire goes through there it could wipe them all out and it's the sort of terrain where you can't stop a fire. They're not going to send resources to fight the fire, they are just going to let it burn. So that is why they were trying to establish the population at Birchs Inlet, but unfortunately, there are a number of reasons why it didn't take. They are still investigating as to why, but one of the issues they had was predation by sugar gliders. 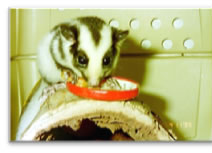 Sugar gliders are introduced in Tasmania; they are not found there naturally. Somehow they got into this remote area and Mark Holdsworth found (when he was doing annual nest box checks), that the birds had been predated in the nest box by sugar gliders. So what he had to do was move the boxes away from big stands of trees where the sugar gliders were living and try and isolate them so that the predation by sugar gliders wouldn't go on. There is some research being done at the moment by a guy from the Australian National University in Canberra called Dr Dejan Stojanovic. He's heavily involved in Swift parrot research in the wild and he has just put out paper that is showing that the research that he is doing is showing that Sugar gliders are having a massive impact on the wild population of Swift parrots on the east coast of Tasmania. People say, "But they are a Sugar Glider?" 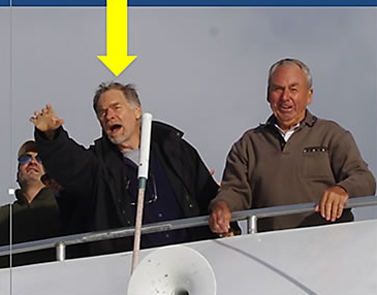 I've got video footage from Tasmania from when I was working on the Devil programme. As part of some of the Devil work that we were doing, we would stake out a wallaby carcass and we would put a camera on it just to see what Devils were coming, what other animals were around; and whether the Devils had disease or not. It's about 3 minutes of footage and it's a Sugar Glider on the carcass of a full grown swamp wallaby, eating the carcass. One of the scientists that I was working with called me over to his desk one day saying, "quick come and have a look at this"; and I went "yeah". He said, "You don't seem surprised by that at all"; and I said "I'm not. I used to have some at Healesville and they'd usually catch their own mice in the enclosure and eat them". They are really quite vicious. They're a massive problem in Tasmanian for the Swift parrots. Luckily they haven't managed to get to Melaleuca yet; "yet" being the operative word. Yes, exactly, that is why we had to bring the Birchs Inlet birds to Melaleuca. Normally they would put the nests in a stand of about 30 or 40 trees in the stand and we'd put the nest boxes in them. Mark had to select stands of trees somewhere where the sugar gliders would have to cross open grassland to get to them. As I said, we've got recorded data showing them in nest boxes in Birchs Inlet and the females have been killed by the sugar gliders. And so that is one of the reasons why we feel the Birchs Inlet release failed. Which was unfortunate. But as I said, it was an incredible opportunity for me 2 years ago. 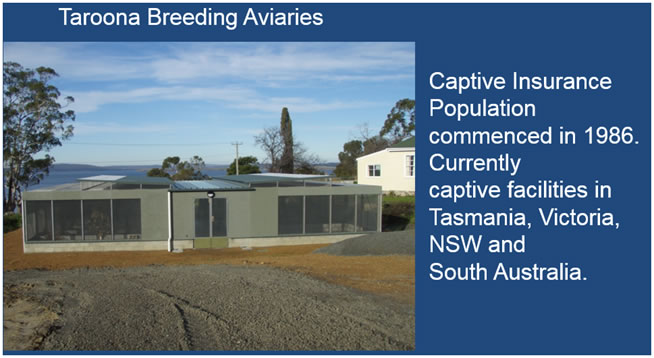 We built some release aviaries and gave them birds with 90% of the birds coming from Taroona. There were some birds from Healesville and I think Halls Gap Zoo, and some from Moonlit Sanctuary (the programmes involved with the Orange-bellied parrots down in Victoria). 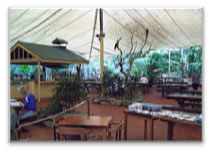 The photo above shows the aviary wall and feed platform. There is a feed platform on either side; one in the aviary and one on the outside of the aviary. The captive birds are in the aviary feeding while the wild birds are on the outside feeding, so there is some interaction. Where that feed platform is, there is a door. We could then open this up and the birds would be able to come out and they would already know where the food was and go from there. 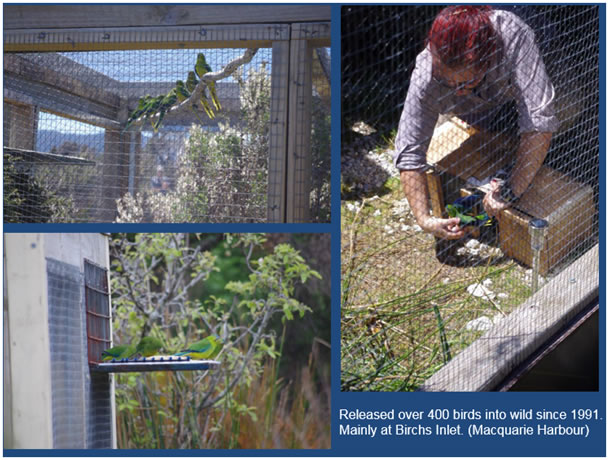 It was an incredible experience for me as a junior being able to take birds that I had bred, raised and looked after for 9 months, down to Melaleuca and let them go. Then for the next week watching them come back to the table and pair up and start to breed. I've been very lucky. We were using a commercially available finch mix. Initially when they first started doing it, it was just to bring them into the table for a little while, to look at those leg bands and then go away. They didn't want that to be a food that the birds were reliant on. What we discovered in about 2010, when we went back through the data on how many birds returned to the site and how many of the females were breeding; we noticed that there was a massive decline in participation from the females. They were coming back from the mainland but then they weren't breeding and we asked ourselves, well why? I said it before. You've flown across that strait and down the coast and you are exhausted when you get back. At the time there was a drought on the mainland, so the area that these guys used, the Coorong area of South Australia where the Murray River comes in, was experiencing a massive drought! The salt marshes there were all being affected by the drought. The birds probably weren't getting enough sustenance on the mainland so that by the time they got to Tasmania the girls are going "I'm not doing this… my body is just not able to". So one of the other things that I implemented at Melaleuca for the breeding season was that I used to soak the seed at Taroona, I'd throw it in the freezer and twice a week I would drive out to the airport (which is a little commercial airport out near Hobart airport that do one day tours to Melaleuca). It's a private company that flies planes down there every day when the weather permits. They were incredibly supportive of the programme. So twice a week I would pack my little frozen zip lock lunch boxes of soak seed into an esky, drop it in at the airport and the next day the pilots would fly it down and give it to the volunteers who would then put it in their little gas operated fridge and every day they would feed that to the birds. That year there was a massive jump in participation from the females. All of a sudden we went from having less than 50% of the females trying to breed to 70-80% of the females trying to breed. So whether that was what helped it, I don't know, but that was something that we implemented while I was there and they are still doing it to this day. So about 12 months ago, I made the decision that it was time to come home. I'd been away from NSW for 20 odd years and a bird curator position had come up at Featherdale Wildlife Park. I sent my resume in and the general curator is a guy that I've known for many years and he rang me asking, "why is your resume on my desk?" I replied "because I'm after a job". "But I've already got someone for the bird curator's job – but, oh, um… would you take a mammal curator job?" I replied "I've worked with mammals for as long as I've worked with birds, so if the job comes up I am happy to apply". And in June of last year I moved back and took on the position as mammal curator at Featherdale. So it was like coming home in more ways than one. I grew up in Gosford and as I said I spent a lot of time at Featherdale with Bruce. As a kid I remember being in single enclosures as a child, you can't do it now, playing with the eagles and cuddling koalas; so it was definitely a home coming in several ways. I've been very lucky to be able to come back full circle to where I started and give back to Featherdale.